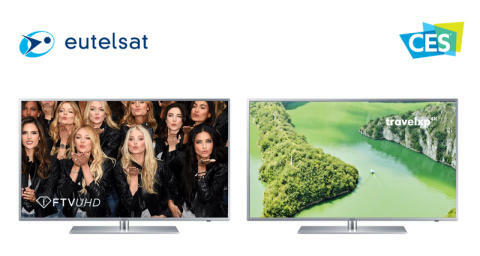 Las Vegas, Paris, 4 January 2016 – One day ahead of the Las Vegas Consumer Electronics Show where Ultra HD is set to be a continuing hot trend, Eutelsat Communications (NYSE Euronext Paris: ETL) announces the launch of two new Ultra HD channels at its popular HOTBIRD video neighbourhood. Fashion TV’s new Ultra HD channel, FTV UHD and Travelxp 4K, the world’s first 4K travel channel, have concluded multi-year contracts with Eutelsat to leverage HOTBIRD’s market-leading penetration into cable and IPTV networks across Europe, the Middle East and North Africa. FTV UHD made its debut on HOTBIRD on 23 December while Travelxp 4K starts broadcasting from January, 2017. Both channels have selected HEVC encoding with 10bits of colour depth (one billion colours), at 50 frames per second. The strong image and awareness of the Fashion TV brand projects a unique, cosmopolitan and modern style. Building on the one-of-a-kind Fashion TV brand, FTV UHD is setting a new standard in fashion and lifestyle broadcasting through original programming on style and trends offered with exceptional image quality. Available in seven languages, Travelxp 4K, features hundreds of hours of world class travel programmes filmed all over the world. The 4K channel follows the success of Travelxp HD, which offers 100% originally-produced premium travel and lifestyle programming distributed to over 50 million homes globally. 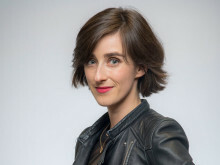 It will also broadcast in 10 bits REC 2020 colour space using the new HDR (High Dynamic Range) standard developed by the BBC and NHK that creates richer and more dynamic images by increasing the contrast ratio between the lightest and darkest areas of the screen and expanding the volume of colours displayed. This standard uses HLG (Hybrid Log-Gamma) technology, enabling legacy Standard Dynamic (SDR) displays to decode the HDR standard. Established in 1977, Eutelsat Communications (Euronext Paris: ETL, ISIN code: FR0010221234) is one of the world's leading and most experienced operators of communications satellites. The company provides capacity on 38 satellites to clients that include broadcasters and broadcasting associations, pay-TV operators, video, data and Internet service providers, enterprises and government agencies. Eutelsat’s satellites provide ubiquitous coverage of Europe, the Middle East, Africa, Asia-Pacific and the Americas, enabling video, data, broadband and government communications to be established irrespective of a user’s location. Headquartered in Paris, with offices and teleports around the globe, Eutelsat represents a workforce of 1,000 men and women from 37 countries who are experts in their fields and work with clients to deliver the highest quality of service. For last 20 years fashiontv, a privately held company with offices in Paris Milan Vienna and all over Asia, had developed a worldwide brand with its motto ‘I love fashiontv And I. See it first on ftv’. Ftv has leveraged its brand to OTT, social media, mobile and smart TV applications, to hotels, cafes, and beverages and many other fashionable products and services. Ftv is broadcasted on over 40 satellites and thousands of cables, IPTVs and GSM networks. Travelxp 4K is an initiative of Celebrities Management Private Limited, a is a privately held company in India, with interest in broadcast, advertising, media consulting and other related services. The company operates 7 (seven) satellite channels across the globe across its group companies. From 8 to 11 June, the final matches of the Roland-Garros French Open are being broadcast live and in Ultra HD via FRANSAT, Eutelsat’s free-to-view platform for French TV homes. This new initiative highlights the Ultra HD momentum set by sport and the key role satellites are playing in the emergence of a spectacular viewing format.